Amazon is offering a FREE Kindle download of Kid Friendly Finger Foods right now. It is a known fact that kids love finger foods and small things they can eat in one bite. Put something on a stick and it is even better. 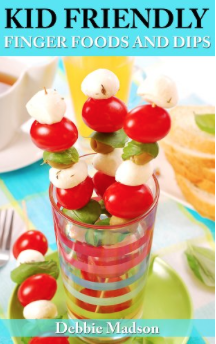 Make food fun and appealing and kids will be more apt to dig into mealtime.